Avg. Group Discount of 13.7%! We are located on Joliet's mall strip, conveniently located by some of Joliets finest restaurants. The Louis-Joliet mall is located across the street. Clean and appeared well kept and staff was helpful. 16-Apr-2019 Verified Review, stayed from Sat Apr 13 to Sun Apr 14 2019 at a $141.55 average nightly rate. Opened August 24, 2017, this newly renovated AAA 3-Diamond- rated Best Western Plus hotel is conveniently located off of I-55 in Joliet, IL. 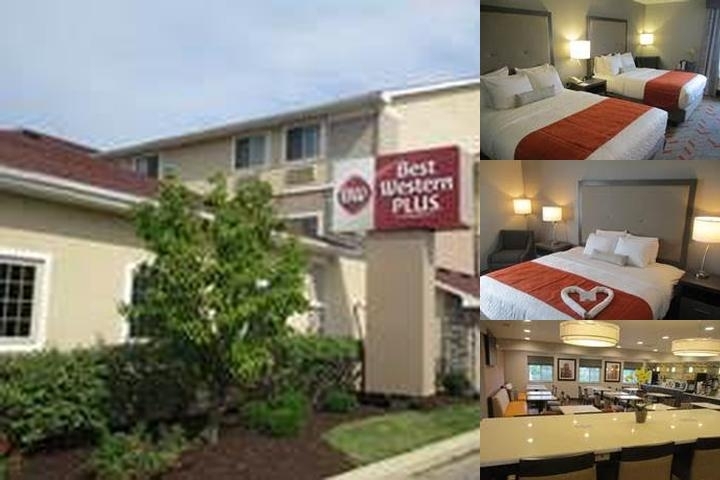 Guests to this hotel can expect convenience, comfort, upgraded amenities and ideally located to the historic Route 66, Louis Joliet Mall, Rialto Theatre, Downtown Joliet and Chicagoland Speedway. We completed a $1.5 million dollar renovation. We offer a huge hot breakfast buffet 6a to 9a weekdays and 6a to 10a on weekends and holidays. We offer free WiFi throughout our entire hotel. 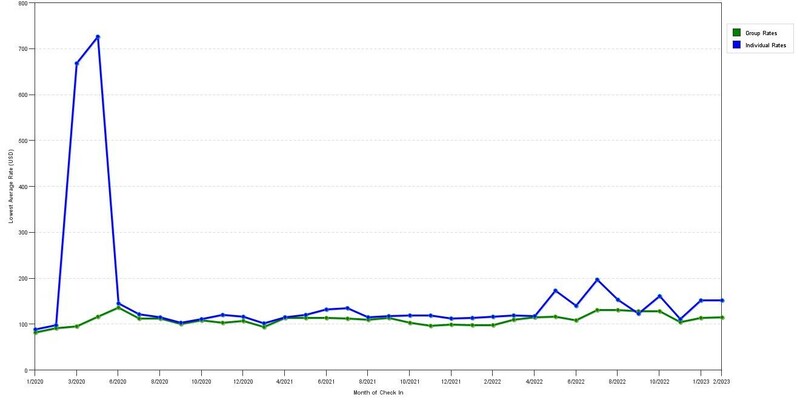 The graph above is trends of room rates for both group quotes and the lowest online individual prices our rate checker could find at the time the group bid was entered. The lowest group or meeting displayed is 90.3% in the month of February 2020 and the highest average individual rate is $1122 in the month of February 2020. This chart will show past seasonality and also project future months. If you are flexible with dates, you may want to consider staying at Best Western Plus North Joliet in a month when rates are lower. 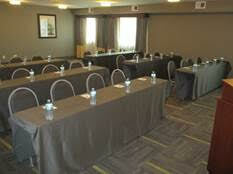 Below are the meeting, banquet, conference and event spaces at Best Western Plus North Joliet. Feel free to use the Best Western Plus North Joliet meeting space capacities chart below to help in your event planning. Hotel Planner specializes in Joliet event planning for sleeping rooms and meeting space for corporate events, weddings, parties, conventions, negotiated rates and trade shows.